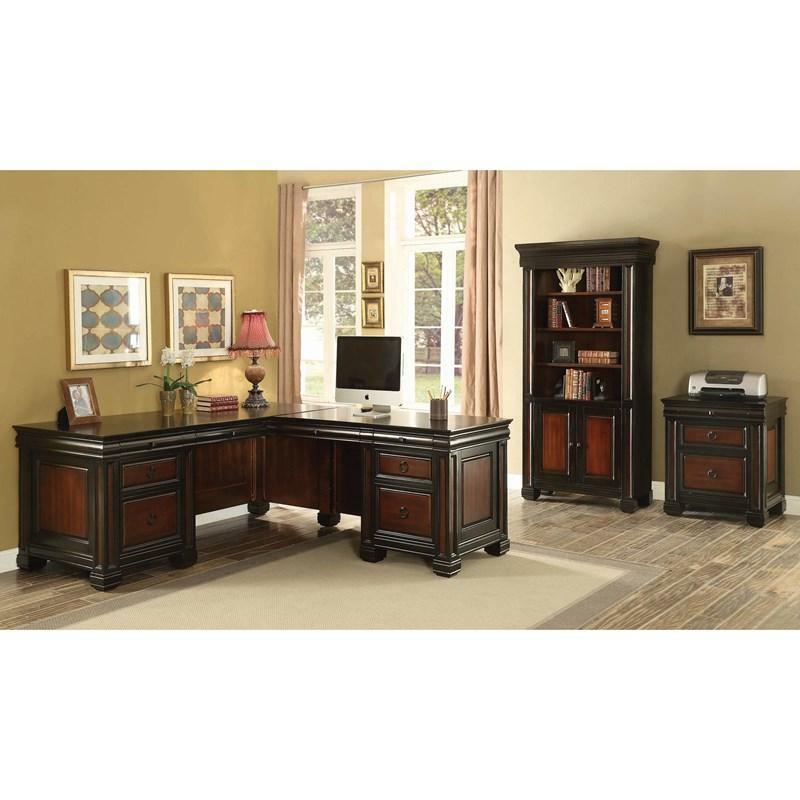 Vivid red panels stand out from a background of rich espresso to give this two-tone desk a sophisticated look that invites second glances. 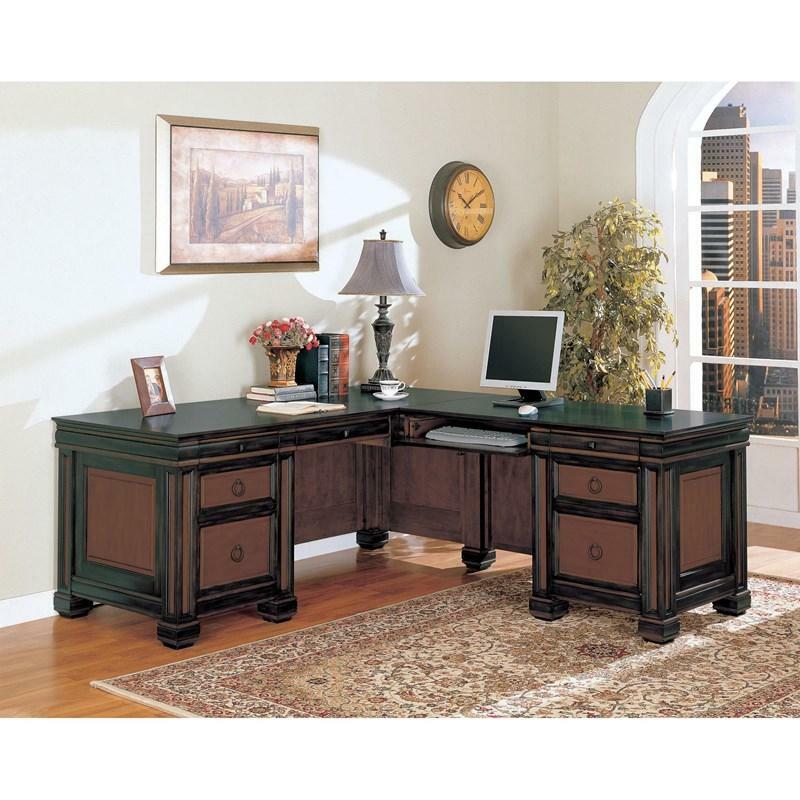 This L-shaped desk features storage as expansive as its personality, with multiple drawers and a slide-out keyboard tray. Check for the availability of other matching accessories from the Tate Collection to build a fully coordinated office set. Volume 70.06 cu. ft. / 1.98 cu. m.